Whatever the reason. 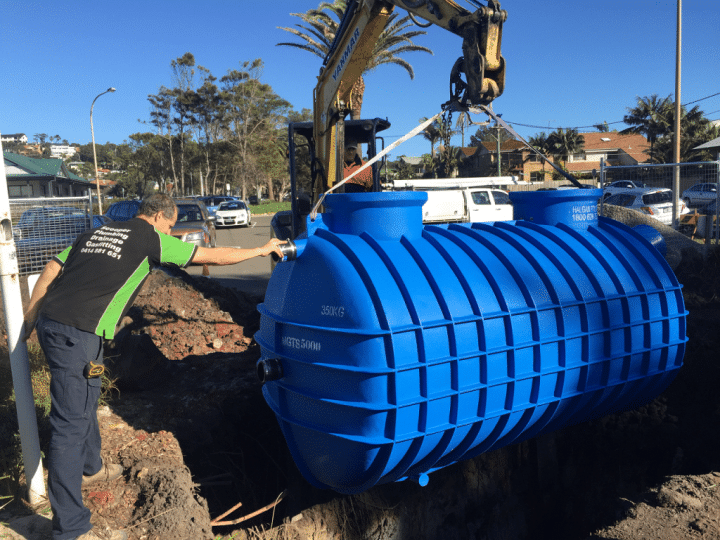 Sydney Water Notice, Damage or Collapsed Tank. We Can Help. Pymble Golf Club. 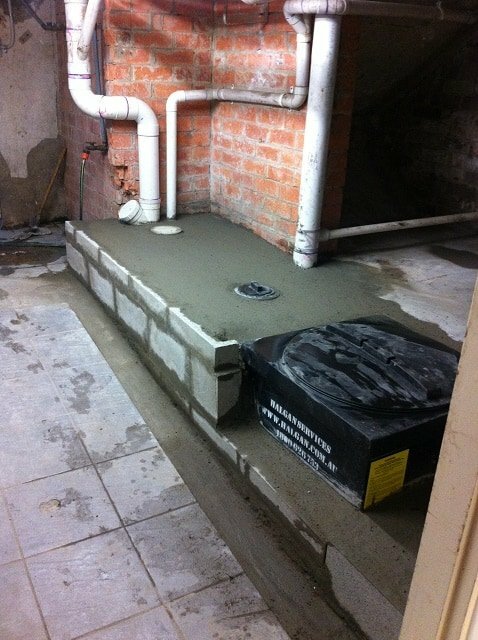 2000 Litre In-ground Grease Trap. Increasing capacity of collapsed tank. Liverpool Block of Small Restaurants & Cafes. 3000 Litre in-ground GT. Pizza Hut Campbelltown. 3000 Litre in-ground. Grease Trap Plumbing is not every plumbers cup of tea. Especially in Sydney as many of the grease traps are old and in very difficult environments. Therefore it is more an acquired taste you could say. It's not always pleasant and it is very labour intensive. Grease Trap plumbing is what we do none the less and we actually enjoy it. 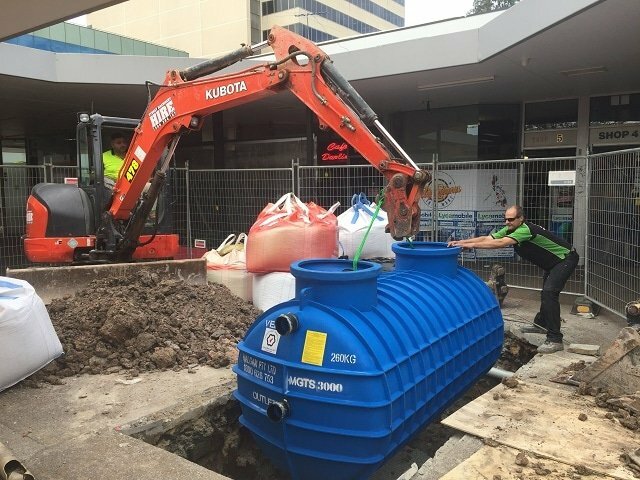 We have installed grease traps in Sydney in so many different types of locations from one which was 3 stories about the kitchen in a Thai Restaurant to some underneath the front entrance door to the pizza shop. Other plumbing jobs with grease traps around Sydney have been installed in the courtyards a group of shops and the most common the the above ground grease trap variety which is installed behind the cafe, restaurant, bakery or butcher and connects into the sewer from above the ground and has a grease trap pump which pumps the kitchen drain water up to the inlet of the grease trap tank. 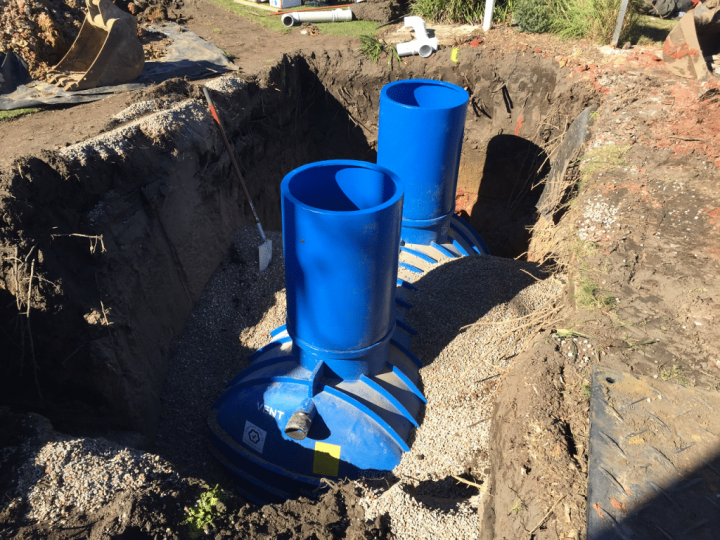 These are mainly around the 1000 litre to 1500 lt sizes generally. 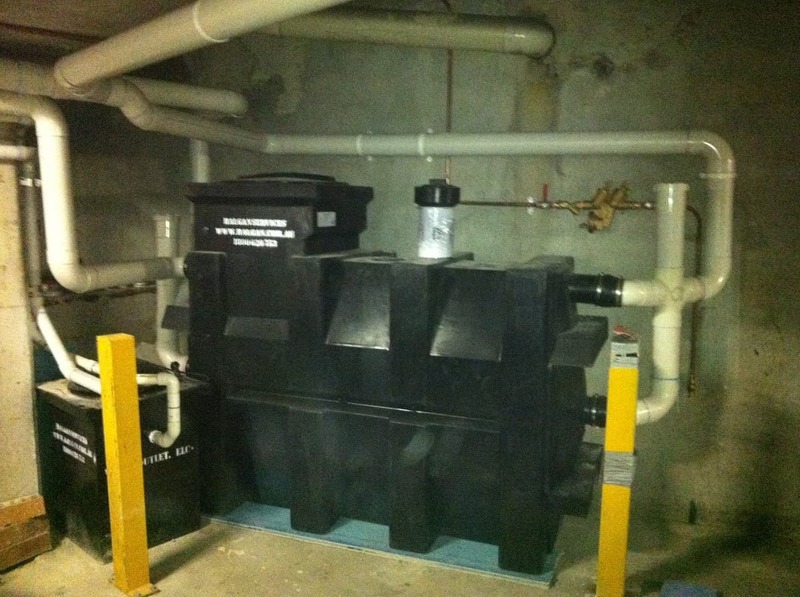 The plumbing nature of grease trap plumbing is quiet extensive. We get inspected by Sydney Water and we also have the Department of Fair Trading inspect our plumbers have done it right. We are very happy with this arrangement as it keeps us on our toes so to speak and compiling with the plumbing code and regulations. We always have passed all of our inspections.